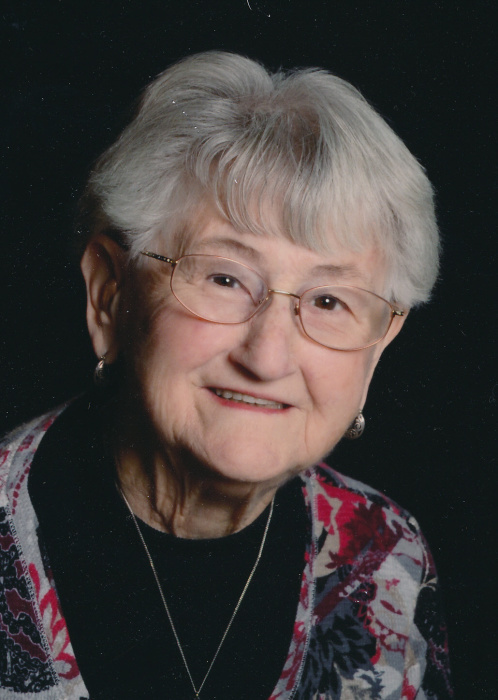 Mary Margaret (Butts) Kromer, 90, of Huron and formerly of Finch Street, Sandusky, where she lived for over 60 years, passed away peacefully after a brief illness early Thursday morning, March 28, 2019, in Stein Hospice Care Center, with family at her side. Born August 29, 1928, in Sandusky, she was the daughter of Frederick Russell and Marcella Magdelan (Weltlin) Butts, Jr.. Mary graduated from St. Mary’s High School with the Class of 1946 and was a lifelong member of St. Mary’s Catholic Church. She worked at Periodical Publishing Company and Spector’s Department Store; and was a volunteer for the Providence Hospital Gift Shop, State Theater, and St. Mary’s Catholic Church. Mary was a devoted wife to Elmer, mother, grandmother, and great-grandmother who always put her family first. She and Elmer enjoyed traveling and visiting family and friends across the country. She attended many of her grandchildren’s sports, dance, and music recitals. She looked forward to planting her flower beds in the spring and was especially proud of her rose bushes. Her favorite hobbies were putting together jigsaw puzzles, the more pieces the better, which she would proudly display on the walls around her home, she enjoyed playing games on her computer, and playing cards with family and friends. Mary and Elmer enjoyed the company of their large circle of friends over the years. Mary is survived by four daughters, Kathleen (Bill) Murphy, Plymouth, MA; Marleen (Gary) Stuhlfauth, Columbus; Cynthia Ann (Joe) Carey, Dayton; Patricia (Sam) Rimboch, Huron; and our brother, Timothy (Nancy) Jones, Oshkosh, Wi; her grandchildren, Kristen (Justin) Gennari, Megen (Patrick) Kania, Jude (Brittany) Kromer; Alison and Dan Murphy, Jeremy (Katie) and Nathan Stuhlfauth, Clarissa, Maggie, Alex, and Matt Carey; Marcus (Dorry) and Sarah Rimboch; Alexis Jones (Brady) Calmes, Anna and Collin Jones; her great grandchildren, Jencyn Gennari, Cuper and Macie Kania, Avery and Reed Rimboch, and Eleanor Calmes; sister, Eileen Roth May; and daughter-in-law, Kim (Koch) Kromer, of Sandusky; nieces and nephews. 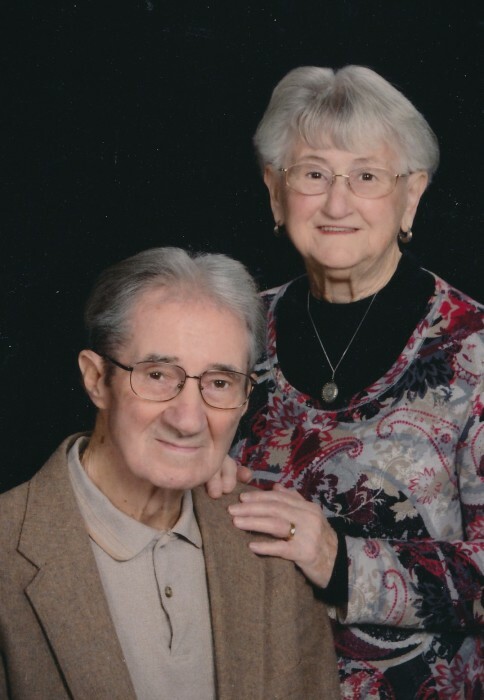 She was preceded in death by her parents; her husband of nearly 70 years, Elmer Peter Kromer, on March 19, 2019, who she married in St. Mary’s Catholic Church on September 3, 1949 ; a daughter in infancy, Cynthia Lee Kromer; a son, Steven Russell Kromer; an infant grandson, Peter Nathan Murphy; and two sisters, Eloise Butts and Marilyn Butts. Visitation will be held Monday morning, April 1, 2019, from 9 am until time of the Mass of Christian Burial at 10 am at Sts. Peter and Paul Catholic Church, 510 Columbus Avenue, Sandusky, Fr. Jeff Walker officiating. Burial will be in Calvary Cemetery, Sandusky. The family suggests that memorial contributions be made in her memory to St. Mary’s Catholic Church, 429 Central Ave., Sandusky, OH 44870; Stein Hospice Service, Inc., 1200 Sycamore Line, Sandusky OH 44870; or Back to the Wild, P.O. Box 423, Castalia, OH 44824.